Product prices and availability are accurate as of 2019-04-19 01:25:16 EDT and are subject to change. Any price and availability information displayed on http://www.amazon.com/ at the time of purchase will apply to the purchase of this product. 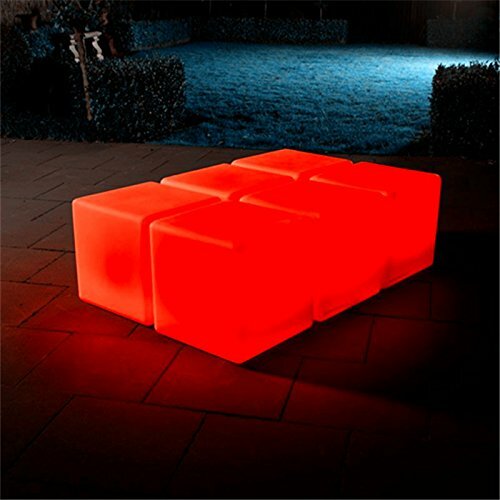 Create fun and versatile mood lighting with these LED Glow Cubes. 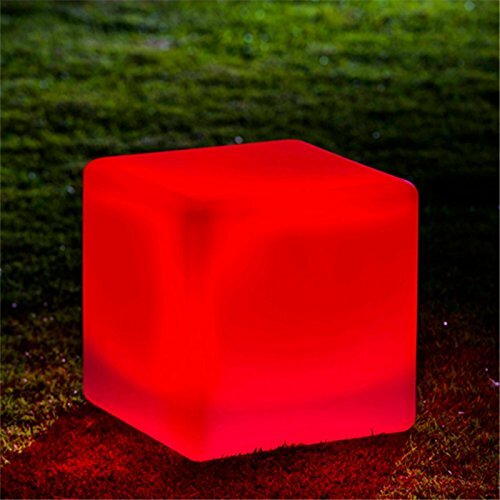 Made from a durable weather and shock resistant PVC casing, these Glow Cubes can be used indoor or outdoor. 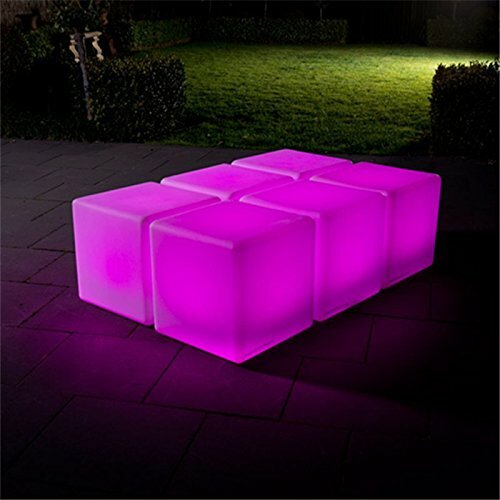 The Glow Cubes are powered by a rechargeable battery that illuminates bright LED bulbs. The ball diffuses the light evenly to create the perfect mood for any indoor or outdoor environment. 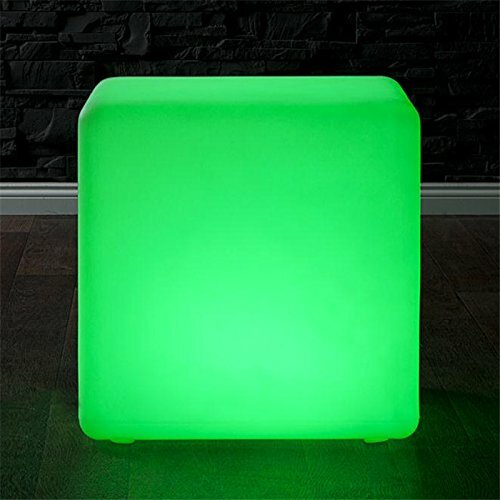 Set the Glow Cubes to static mode for a single non-changing color or allow the Glow Cubes to continually change colors for a dynamic mood lighting affect. 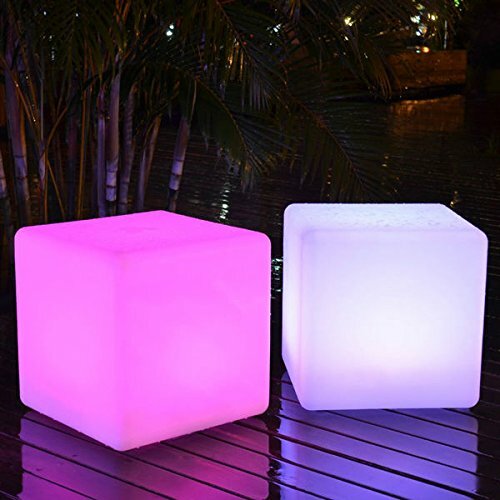 These Glow Cubes can be set along your table, patio, deck, garden. Due to water seal limitations, these cubes cannot be used in pools. They will certainly be a conversation piece when you host a fabulous lighted summer or evening party. 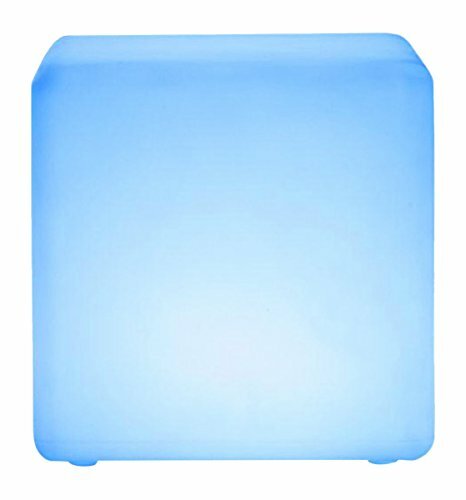 Shock and weather resistant PVC casing Static single light mode or continual color changing mode Turn on/off via switch or included remote control Rechargeable lithium battery powers up to 6-8 hours of continual use Wall plugged induction charging station included for easy recharging of battery Sold individually, not as a set. Cannot be used in pools. 12" x 12" x 12". Shock and weather resistant PVC casing. Cannot be used in pools Static single light mode or continual color changing mode Turn on/off via switch or included remote control. Rechargeable lithium battery powers up to 6-8 hours of continual use. Wall plugged induction charging station included for easy recharging of battery Sold individually, not as a set 12" x 12" x 12"